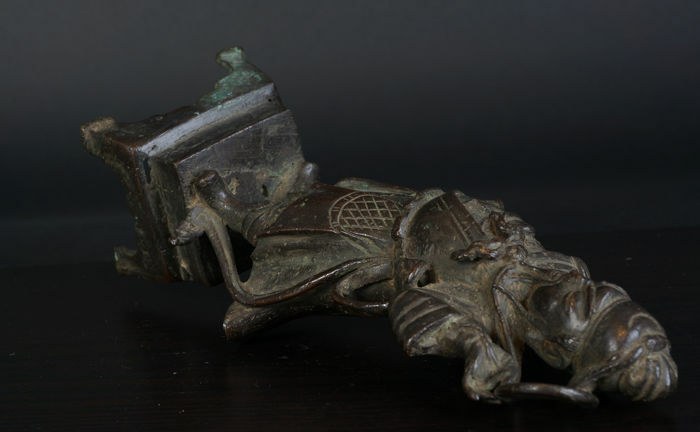 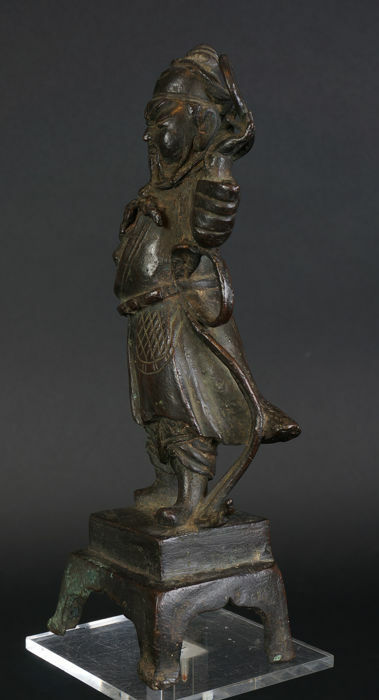 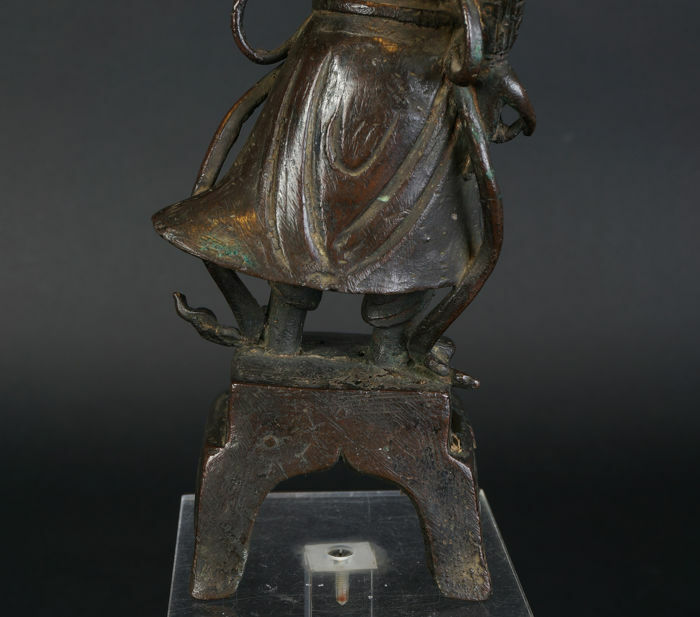 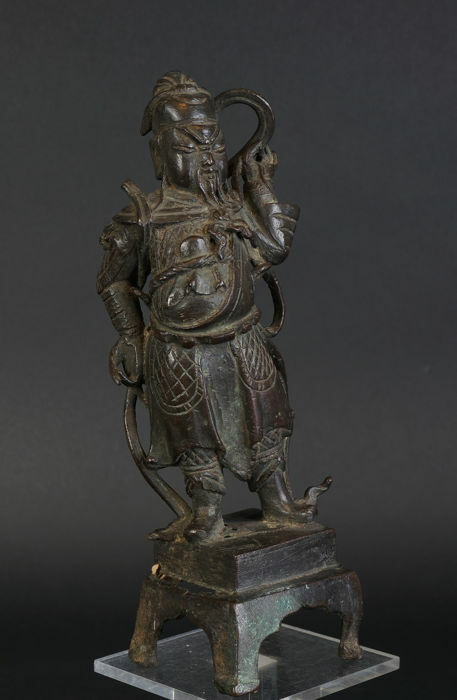 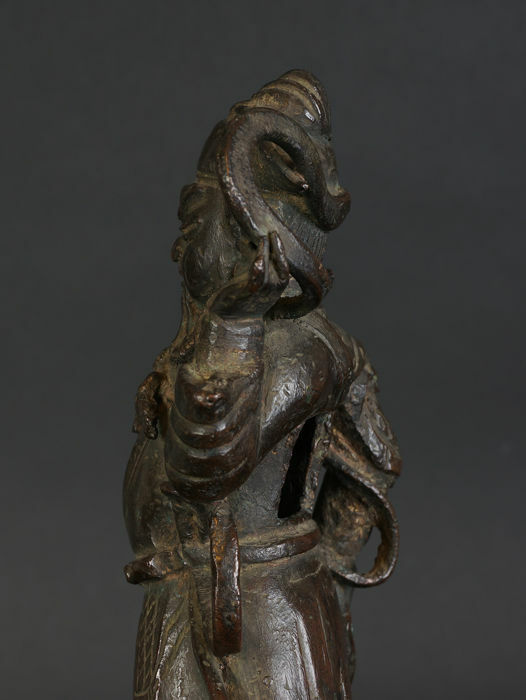 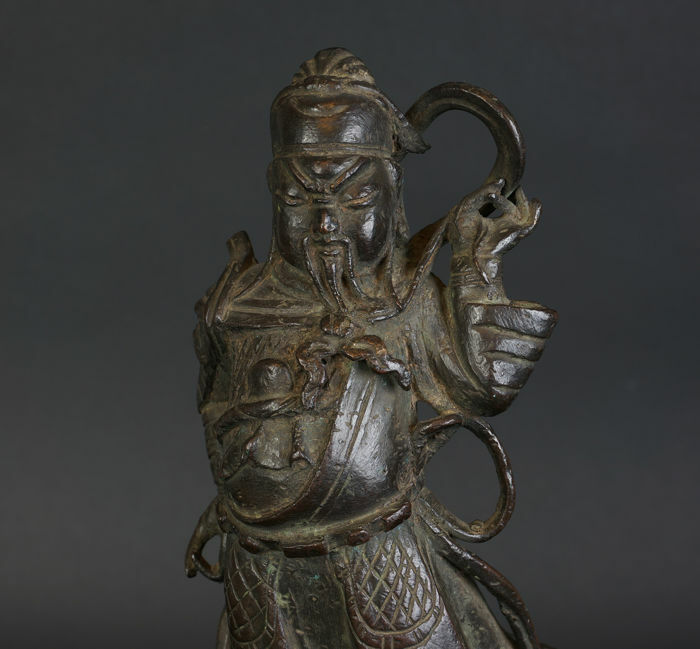 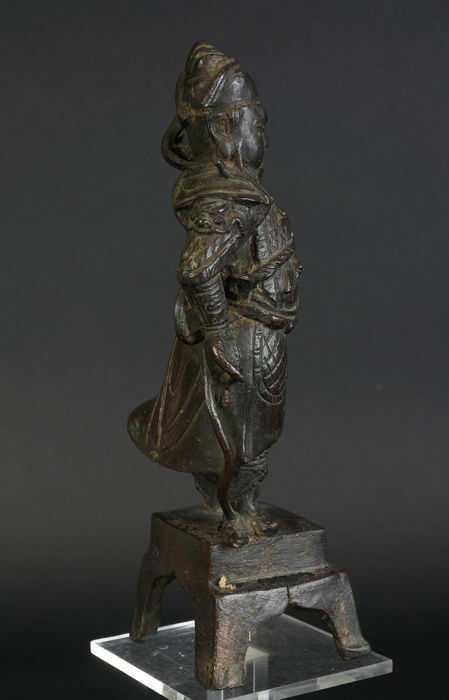 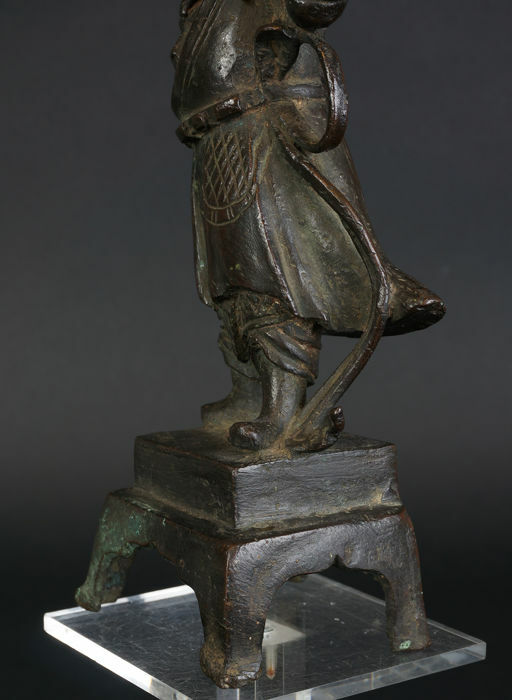 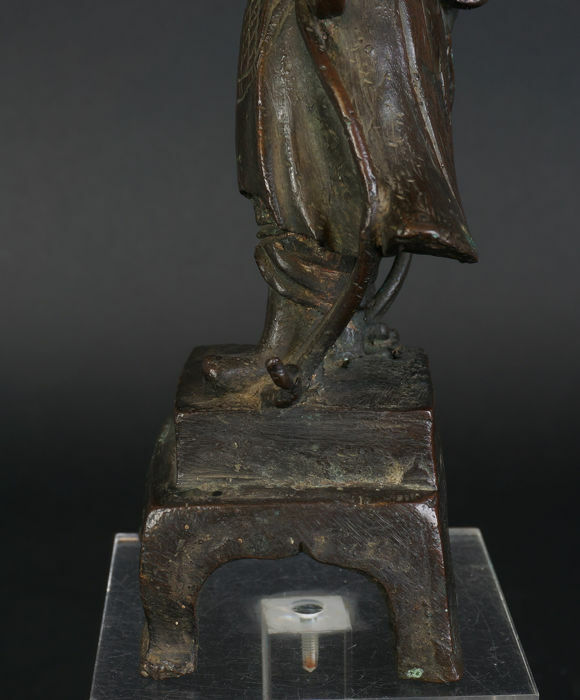 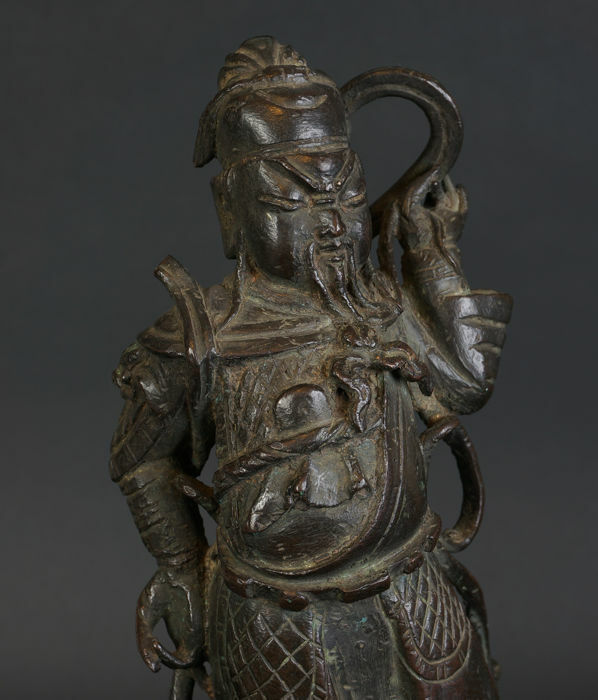 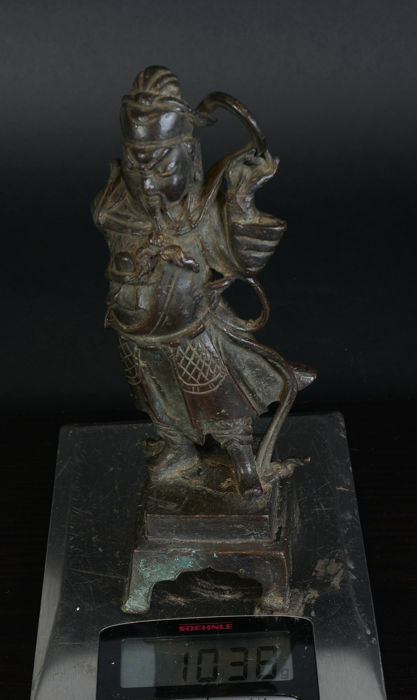 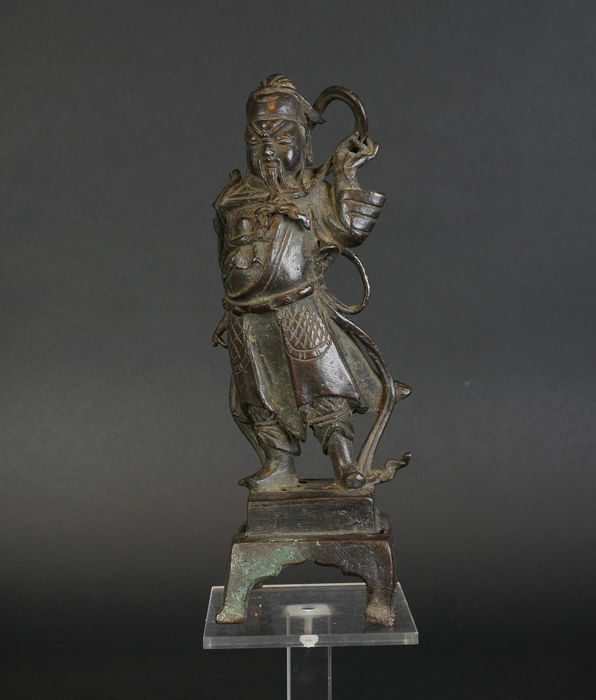 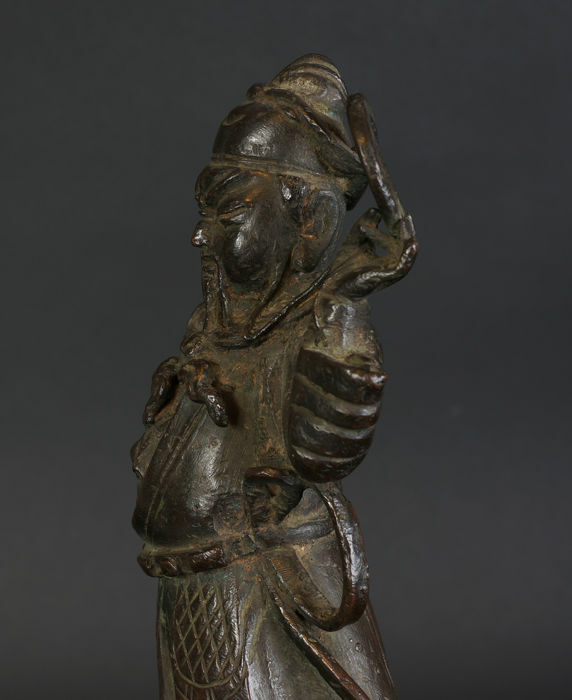 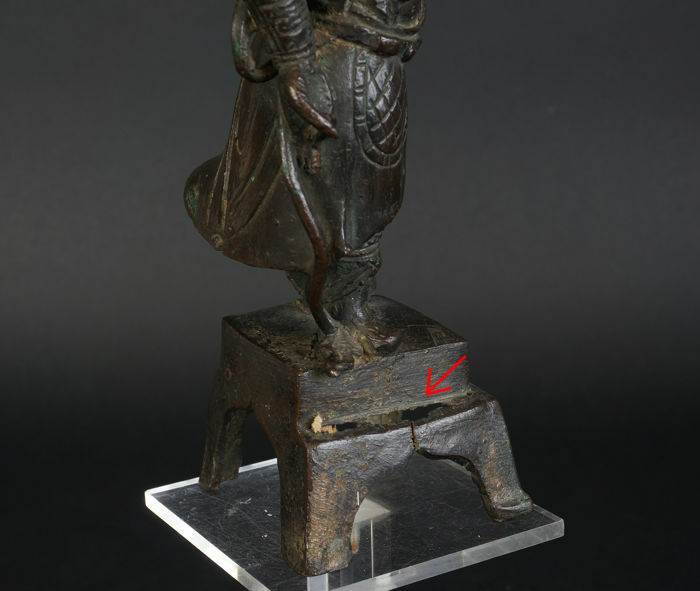 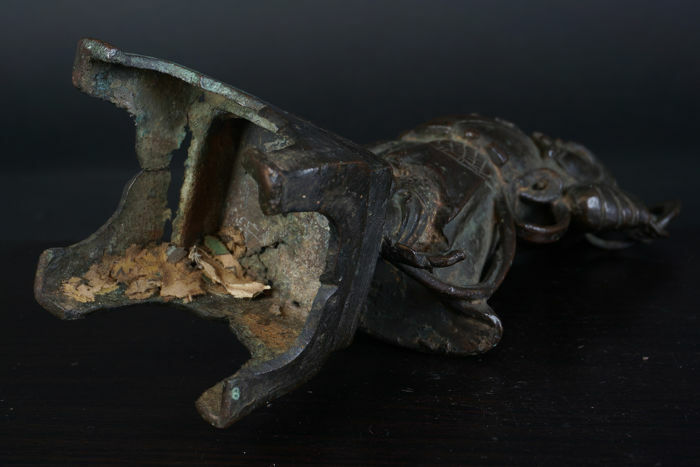 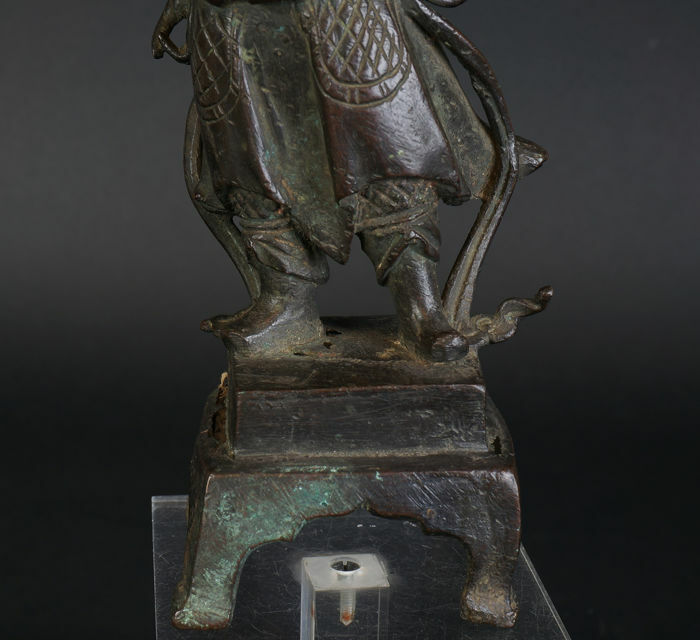 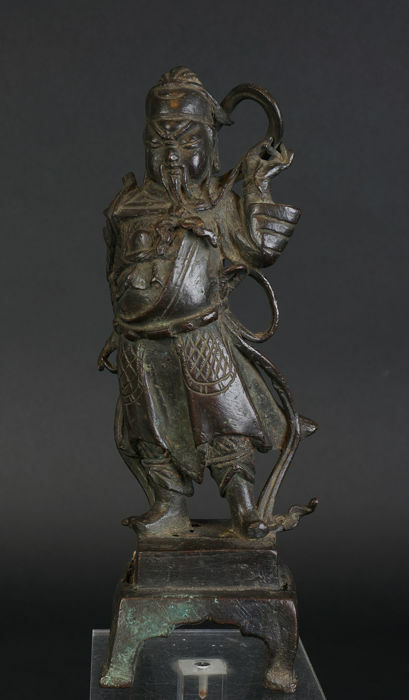 A beautiful antique Chinese bronze sculpture of General Guan Gong. 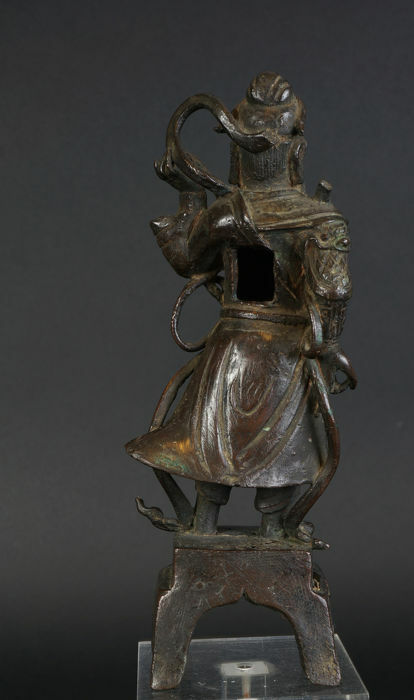 He lived a the time of the Three Kingdoms. 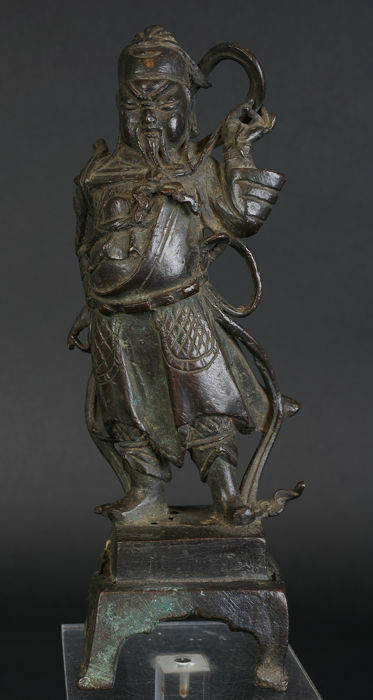 After his death he was proclaimed patron. 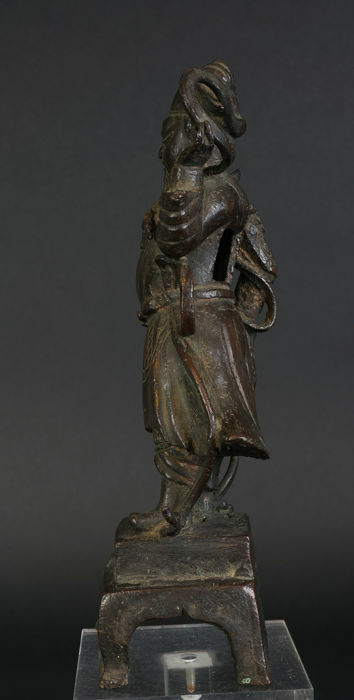 The sculpture is from the Ming period. 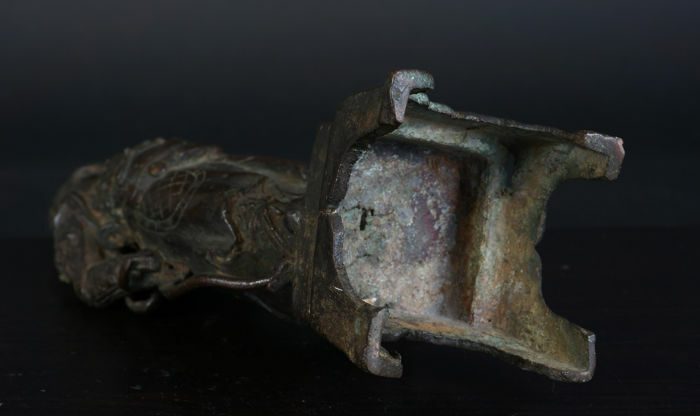 It has a very good patina. 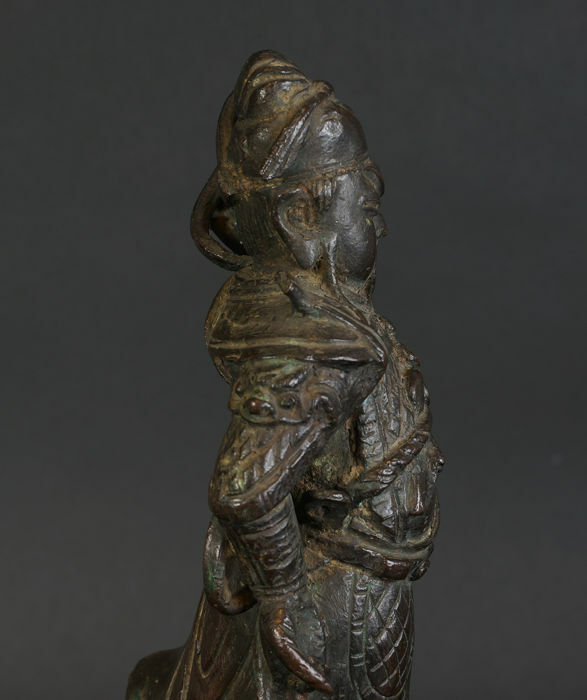 Very finely tooled figure and appearance. 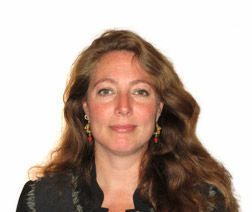 beautiful facial expression. 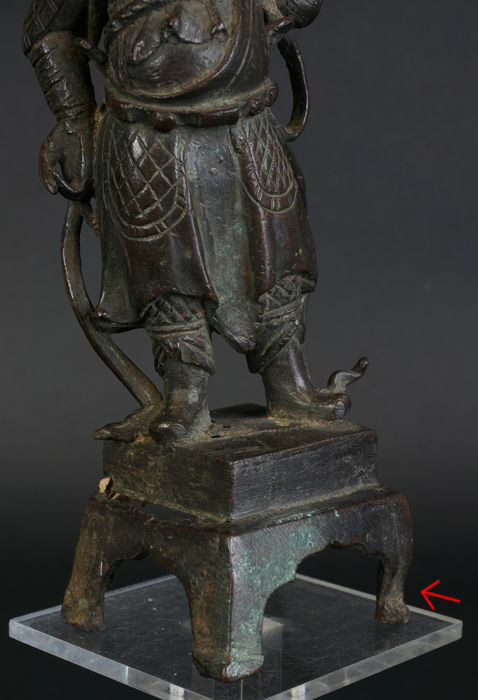 With a high weight. 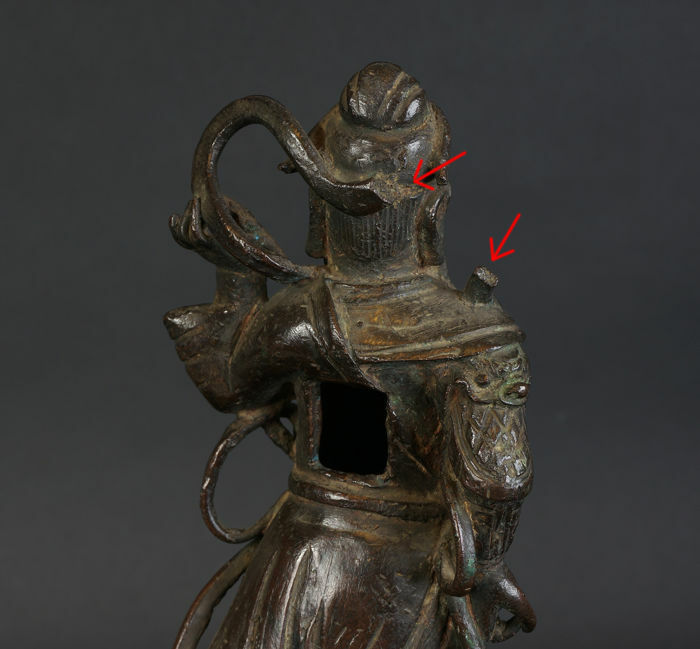 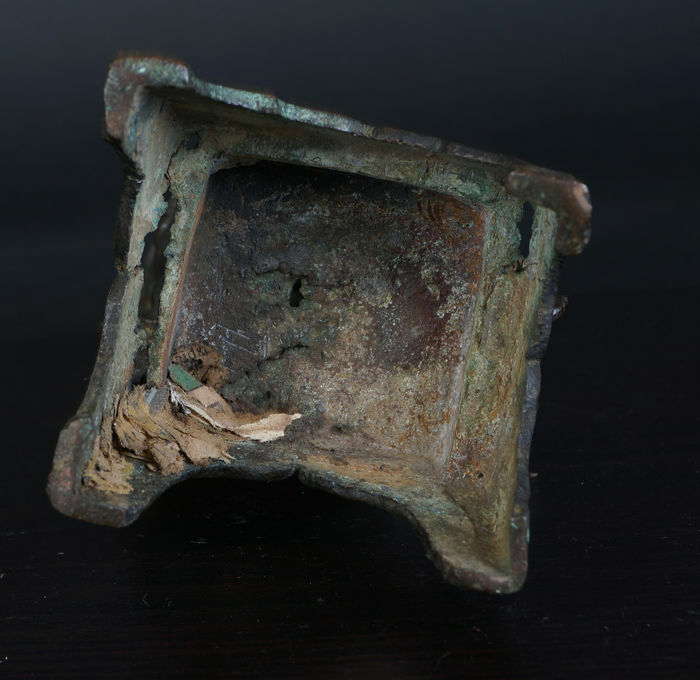 A few casting errors and holes, see the photos. 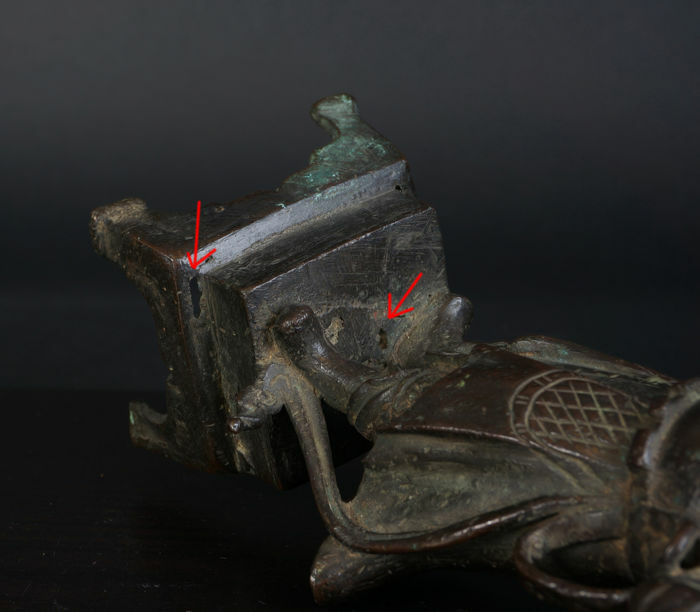 One leg is crooked, see the photos with the red arrow. 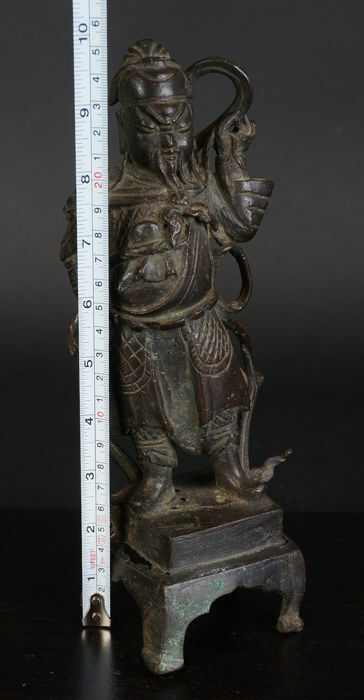 Intercontinental shipping takes approx. 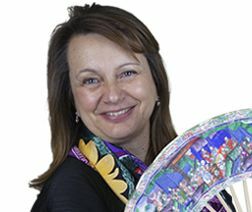 10 to 15 business days. 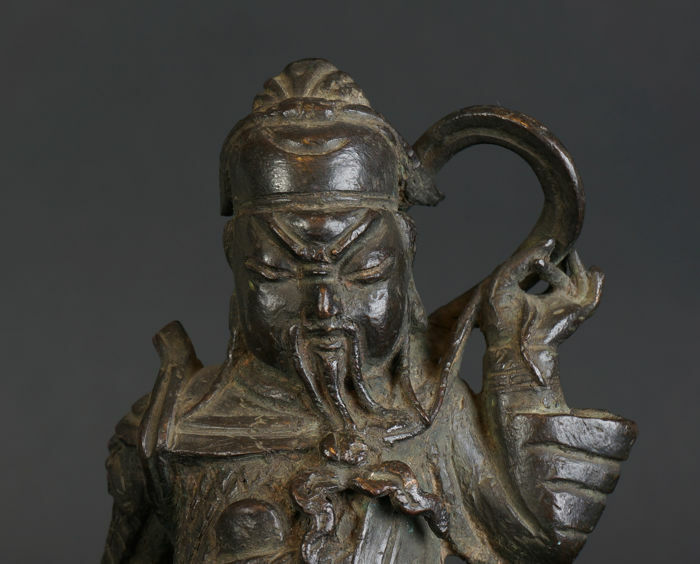 In exceptional circumstances it may take approx. 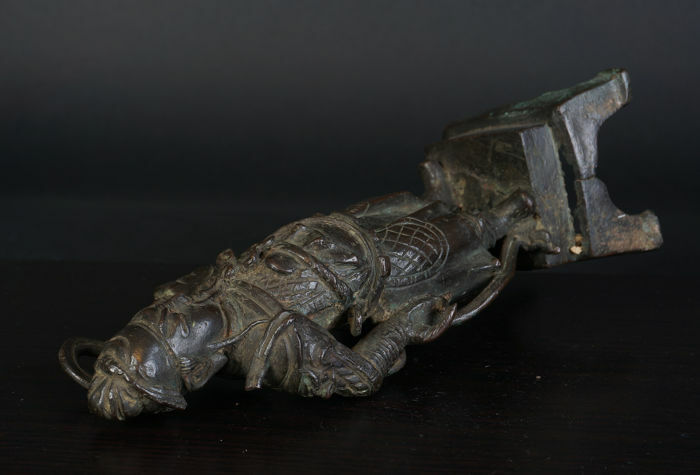 20 business days. 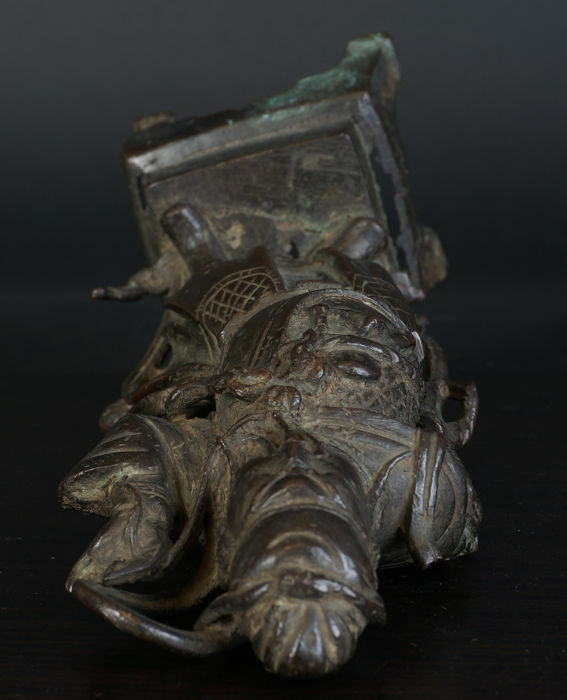 You can pick up this lot from the seller: Delft (), Netherlands.